The AFP seized $165 million of goods in raids on Wednesday. 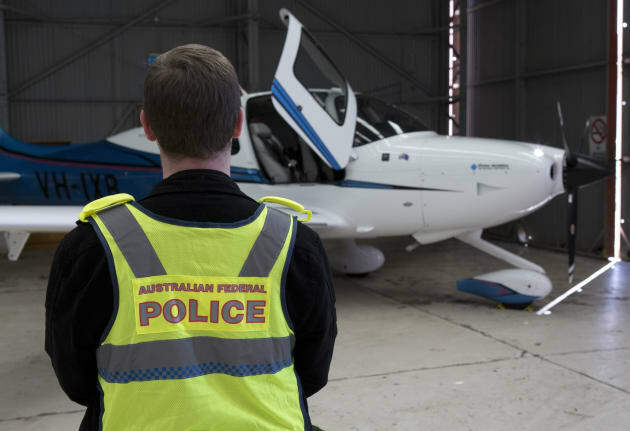 Planes, vintage racing cars, watches, diamonds and fine wines were among the luxury goods which the Australian Federal Police allege were bought with the earnings of one of the largest tax fraud syndicates Australia has ever seen. Not to mention cash -- a whole lot of it. The Australian Federal Police also seized 18 properties, froze over 100 bank accounts and arrested nine people during raids across Sydney on Wednesday. They also located and seized $1 million cash found in a safe box. A 10th person has now been arrested and charged in relation to the alleged illegal syndicate, which the AFP believe has been operating since at least June last year. Simon Anquetil, 33, was arrested at Sydney Airport on Thursday. As the former chief executive of Plutus, the payroll company at the centre of the AFP's inquiries, it is alleged that Anquetil conspired to defraud taxpayers of over $165 million. Another high profile figure, Adam Cranston, who is the son of ATO Deputy Commissioner Michael Cranston, has also been charged with defrauding the Commonwealth. If convicted, both men face a maximum 10-year jail sentence, according to the Australian Financial Review. The arrests follow an eight-month Australian Federal Police investigation, codenamed Operation Elbrus. The AFP worked in collaboration with the ATO, which had alerted the police of potentially fraudulent activity occurring within their internal systems early this year. 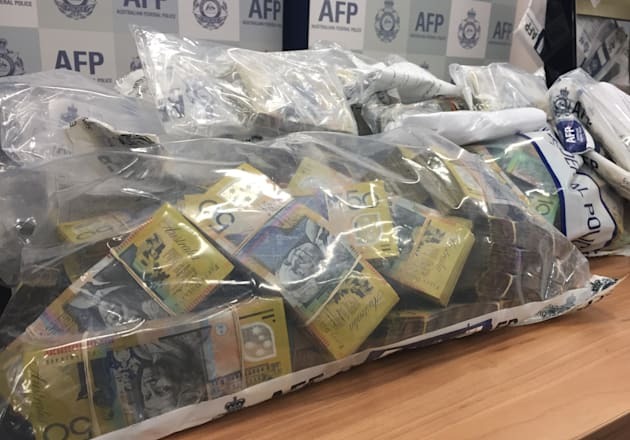 Here's a look at just some of the luxury goods the Australian Federal Police seized during Wednesday's raids on 28 homes and businesses across Sydney, Wollongong and the Southern Highlands. 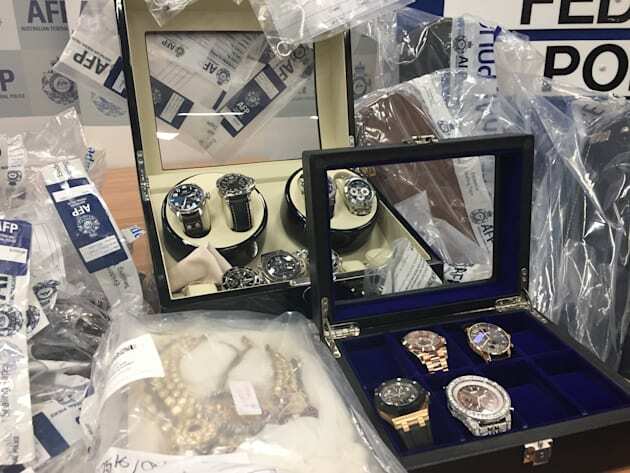 Luxury watches, worth tens of thousands each, were among the goods seized by the Australian Federal Police. 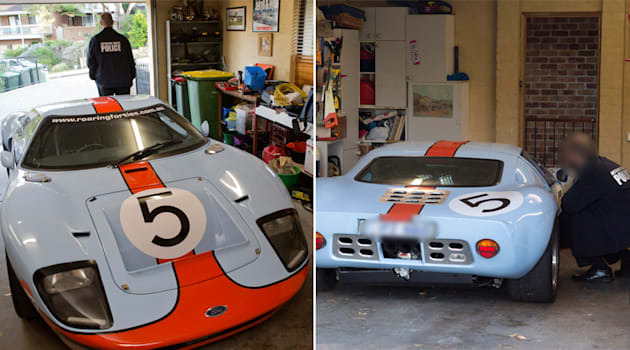 Adam Cranston's extremely rare Ford GT40 being inspected by the Australian Federal Police. There are only a few of the vintage cars in Australia. 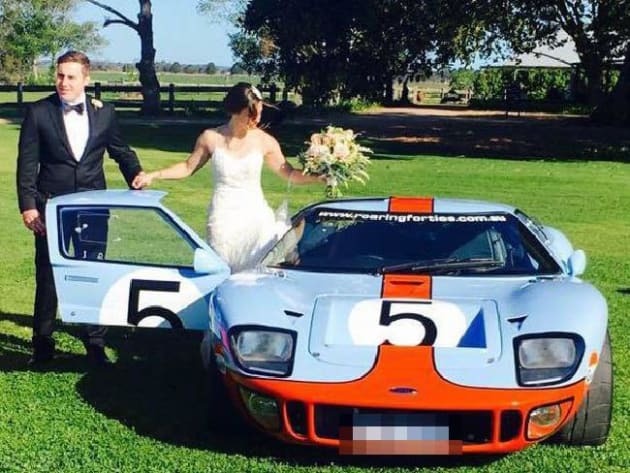 Adam Cranston posing in front of the car with his wife Elizabeth on the couple's wedding day. There is no suggestion Elizabeth was involved in the syndicate. Police found a safe box containing approximately $1 million in cash during Wednesday's raids. Two aircraft, including this light plane, were among the luxury goods police found. 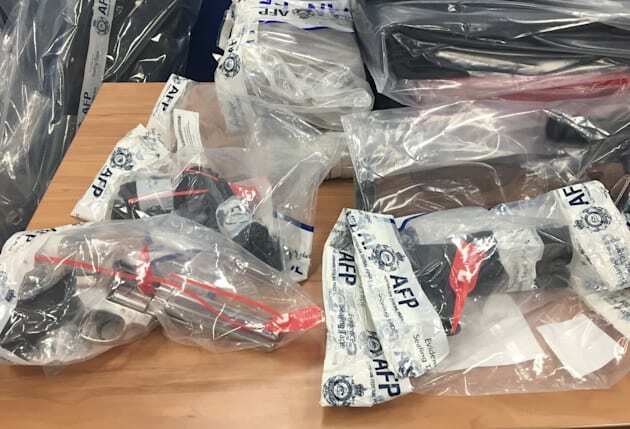 Guns seized by police during the raids. A boat seized by the AFP during the raids. 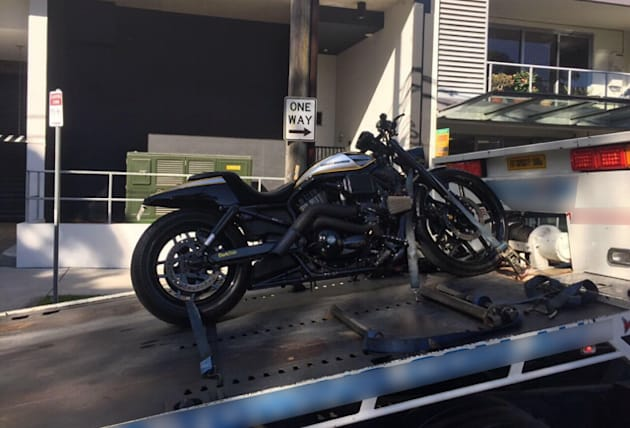 Twelve motorbikes were among the luxury goods police allege were funded by the $165 million tax fraud. 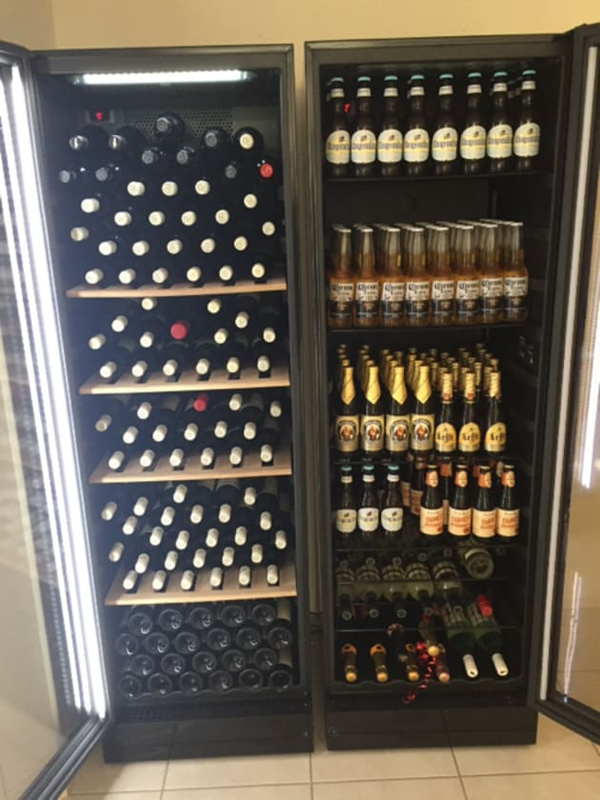 The AFP also found a large collection of vintage wines. 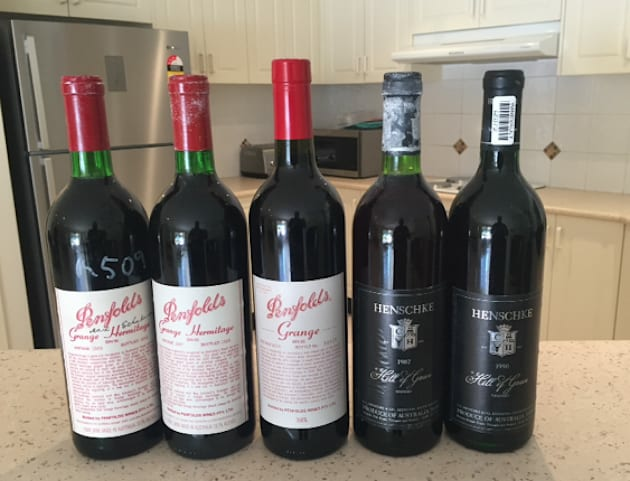 The alleged illegal syndicate had a large selection of vintage wines, many valued at over $1000 a bottle.